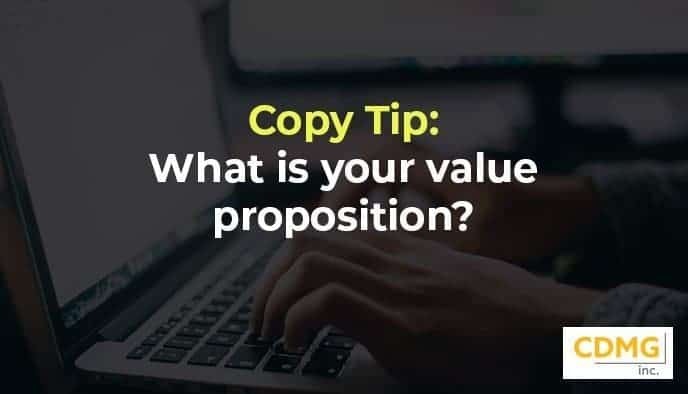 In writing copy for your website, landing page, TV commercial, video, direct mail and/or email – you must clearly and concisely present your value proposition. Most think a value proposition is only the offer. But a value proposition is slightly different and critical. It is not just your price, your discount, your guarantee or your premium. It’s that and the perception of your product, service, company and direct or indirect competition by your prospects and customers. It’s based on perceived need and how well you can fill it. It’s alternative choices … including no choice at all. It’s your complete presentation of your value in light of all impacts on decision making by your prospect. Is your value proposition impactful, clear and exciting, causing me to want to respond? If I were to look at your marketing now, what would I see? Is it powerful and compelling?